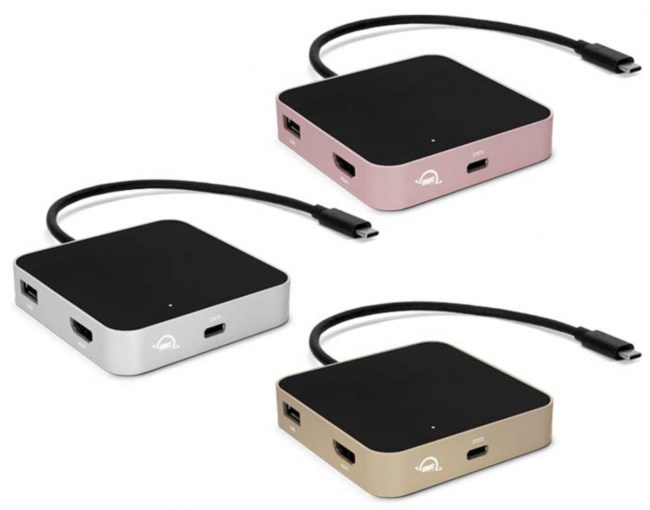 The OWC USB-C Travel Dock comes in a variety of different colors. You can currently choose from silver, space gray, gold and rose gold. That means you can get the dock that perfectly matches your laptop. And while I really could care less if my laptop accessories match my computer, I know this is something others find important. It’s a great looking compliment to your laptop, and tough enough to follow you on any adventure. There’s no better way to keep your workflow efficient on the move. 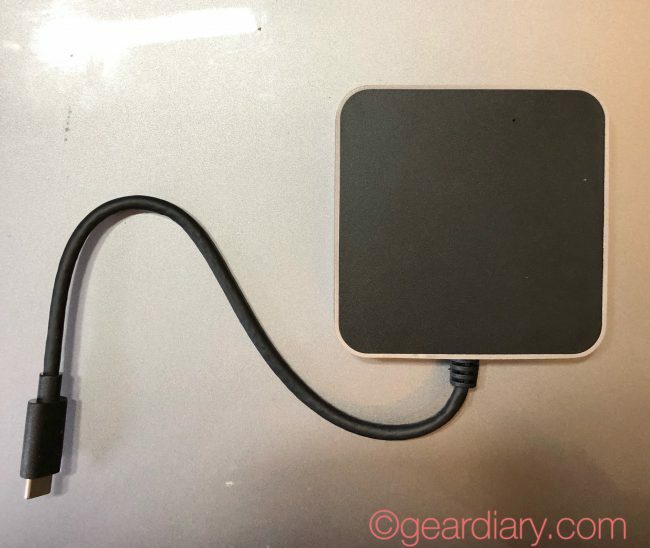 One side of the square dock has the USB-C cable that connects to your computer. 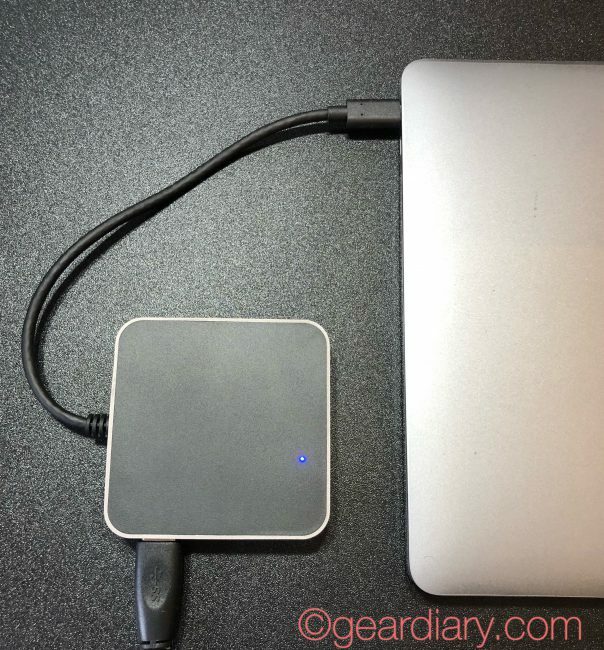 The other three sides have the five ports that make this a great travel accessory. 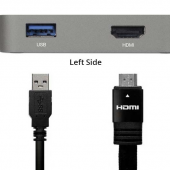 On one side there is a USB-3.1 and an HDMI port. 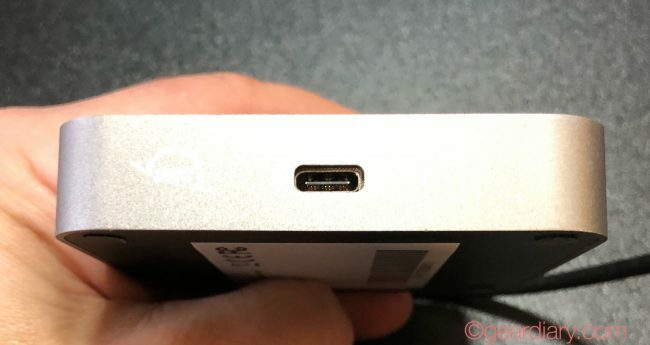 On the second side, there is a USB-C port auxiliary port that can handle up to 60W of power. 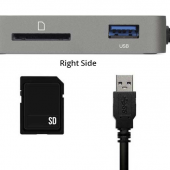 On the third and final side, there is a second USB 3.1 port and an SD card slot. In other words, this small accessory gives you a host of connectivity options when you travel. 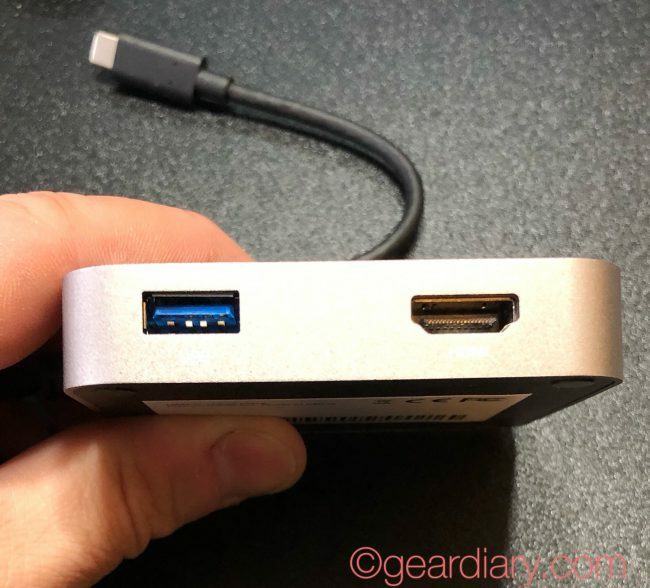 When paired with a USB-C power adapter the USB-C port can deliver 60W of power thereby not only charging your laptop but also the other accessories connected to the dock. The HDMI 2.0 port is equally powerful and can support a 4K display of up to 4096 x 2160 at 30Hz. 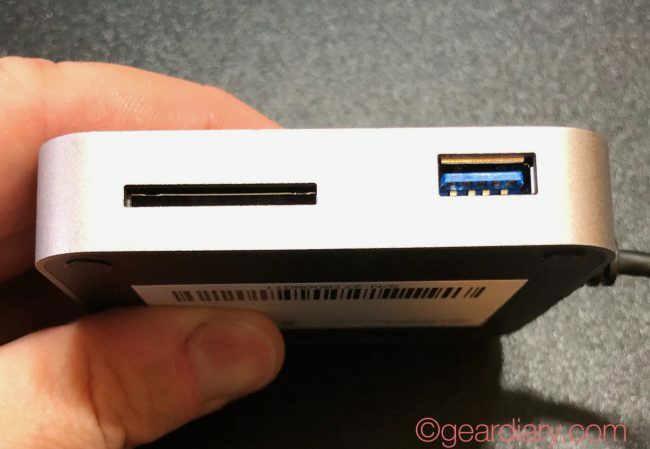 In other words, if you are traveling with your laptop you can connect the dock to a 4K display or high-definition television and enjoy your content, be it for work or play, on the big screen. Connect. Power. 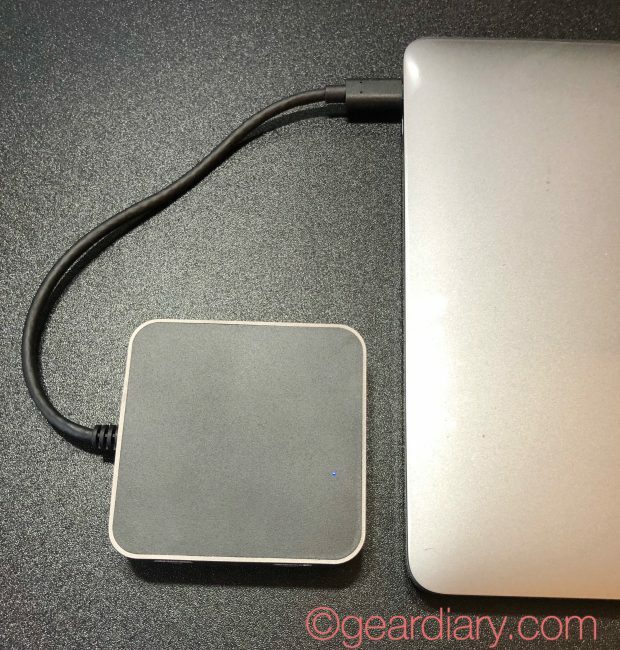 Charge: The OWC USB-C Travel Dock brings back portable connectivity and up to 60W pass through power to your USB-C MacBook or Thunderbolt 3 equipped Mac or PC. 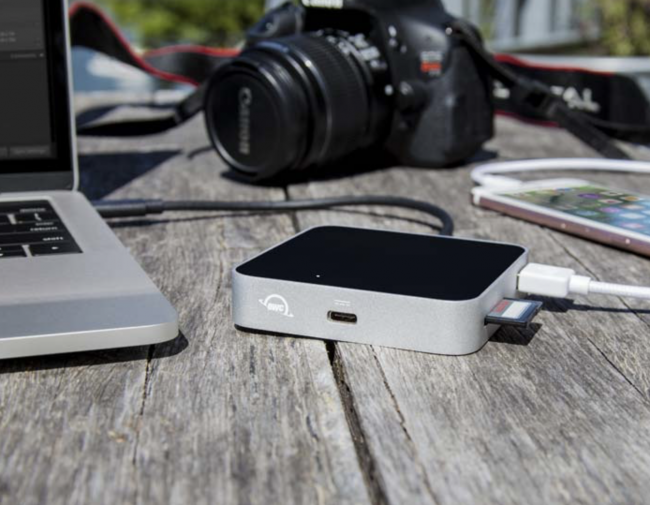 With 5 ports, the OWC USB Travel Dock lets you connect to your notebook, drive an HD display, connect, power or charge up to two USB 3.1 devices and access photos from your camera’s SD card. Add a USB-C power adapter and have a stand alone charging station. 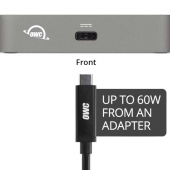 In addition to USB Type-C connectivity, the OWC USB-C Travel Dock is also fully compatible with Thunderbolt 3 equipped Macs and PCs, and may be connected directly through a Thunderbolt 3 port on a computer or Thunderbolt 3 device. 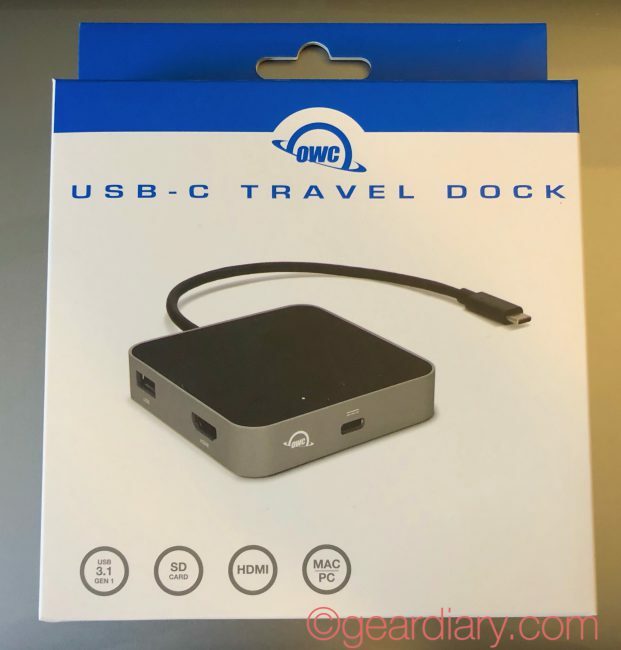 Whether you are using a MacBook, MacBook Pro, Chromebook, or PC with USB-C or Thunderbolt 3 ports, the OWC USB-C Travel Dock is a great addition to your gear bag. 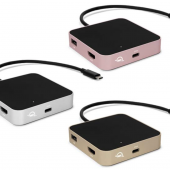 Its small size makes it great for travel, and its pass-through USB-C charging port means you can not only charge your laptop but also expand connectivity options so your work away from home can be as efficient as possible. It is a terrific accessory and, at under $40, is a no-brainer. Get one for yourself and then pick up a couple as stocking stuffers for the professionals in your life. You can learn more and order yours here.